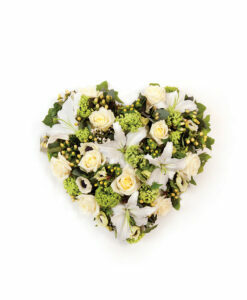 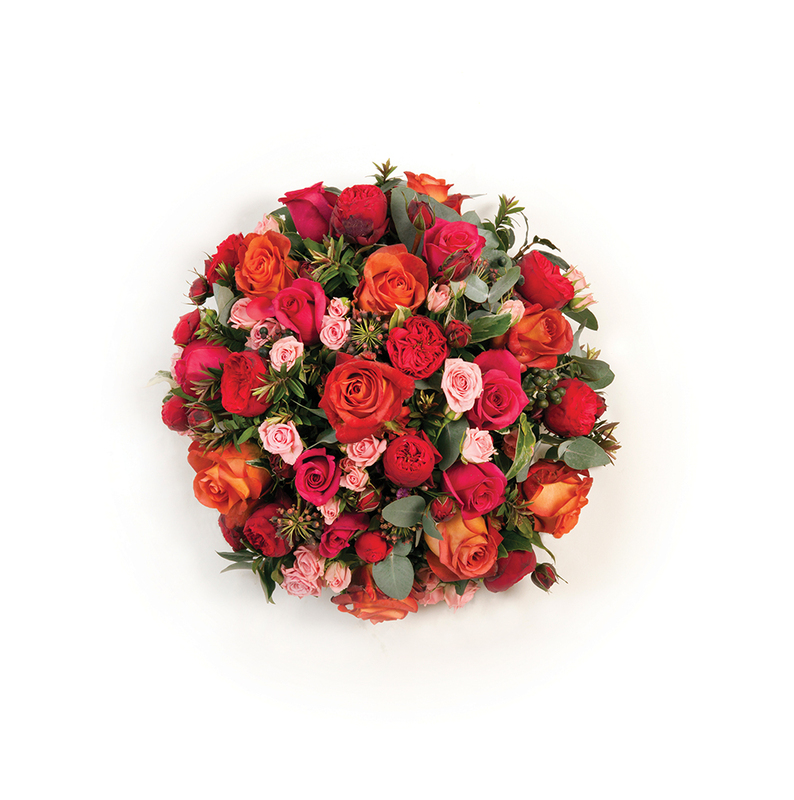 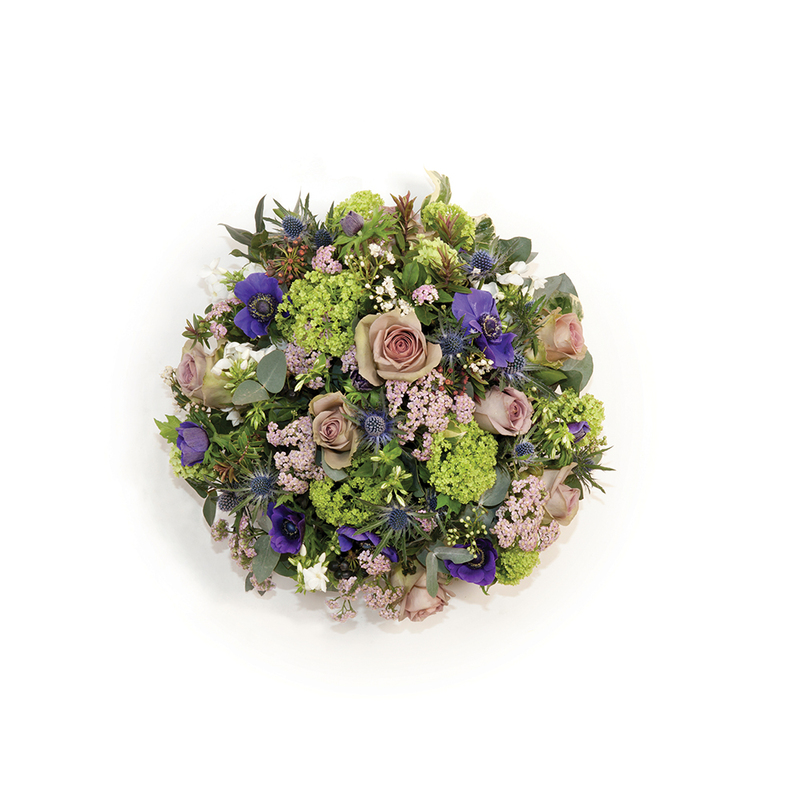 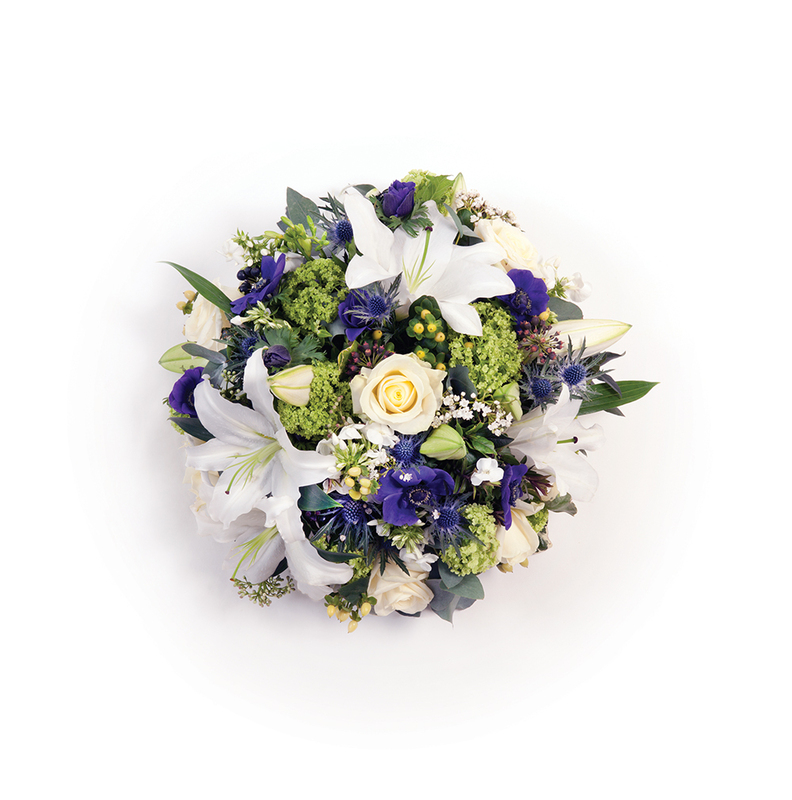 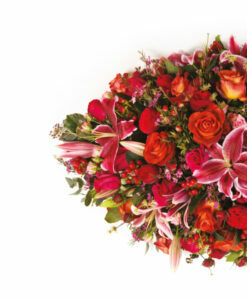 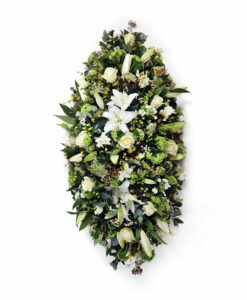 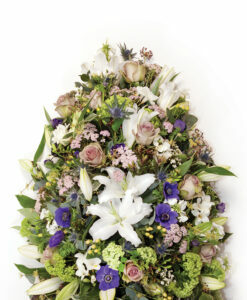 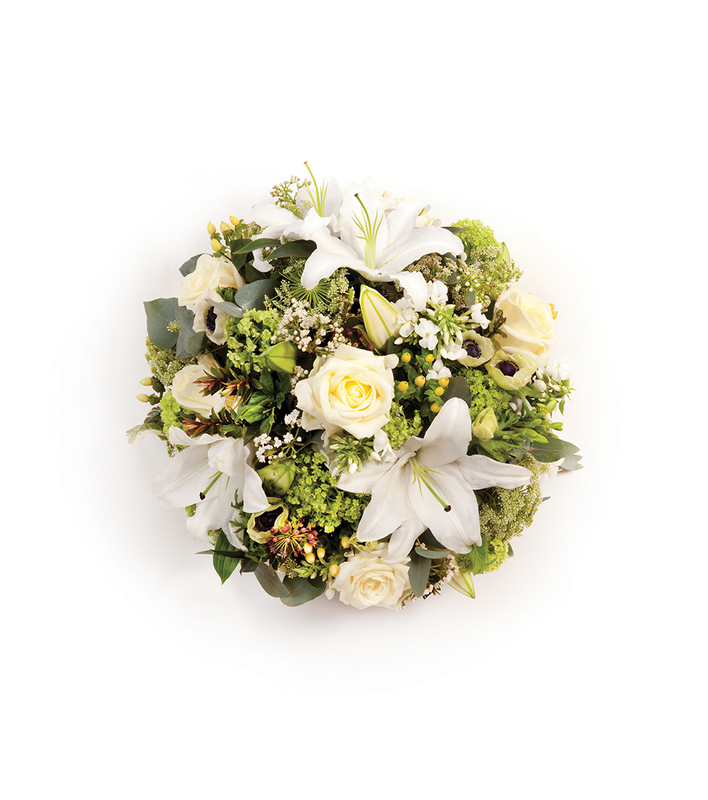 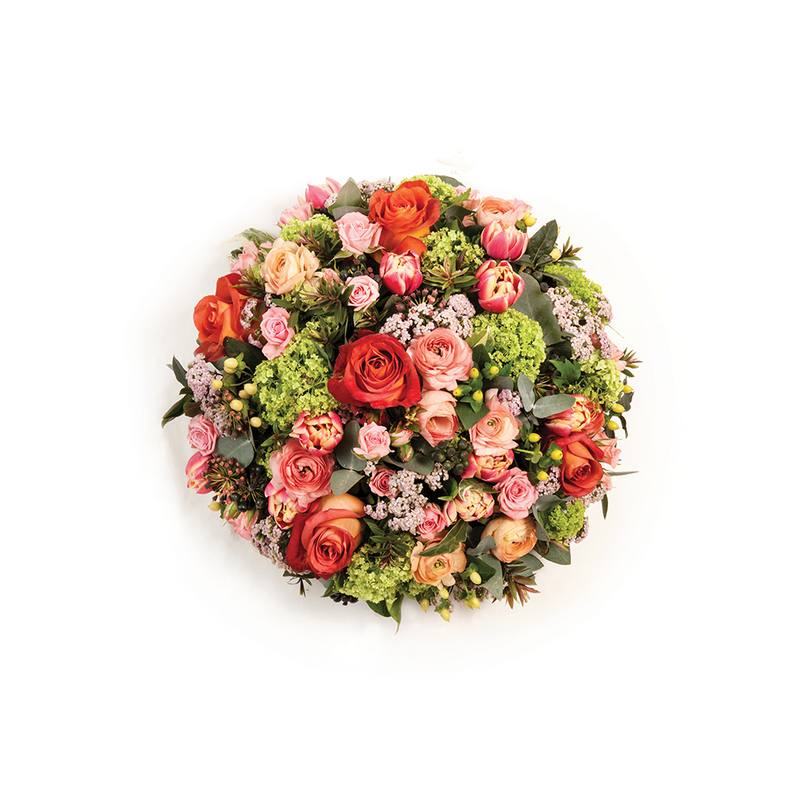 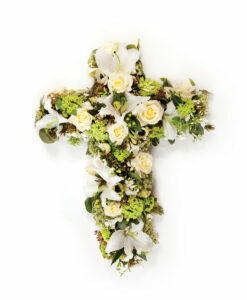 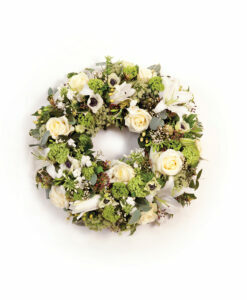 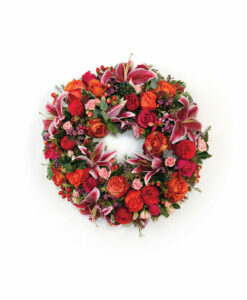 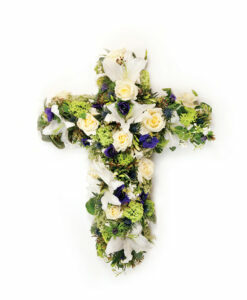 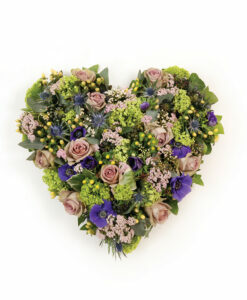 The round posy can be used as the main floral tribute on top of the casket or can be an additional floral tribute. 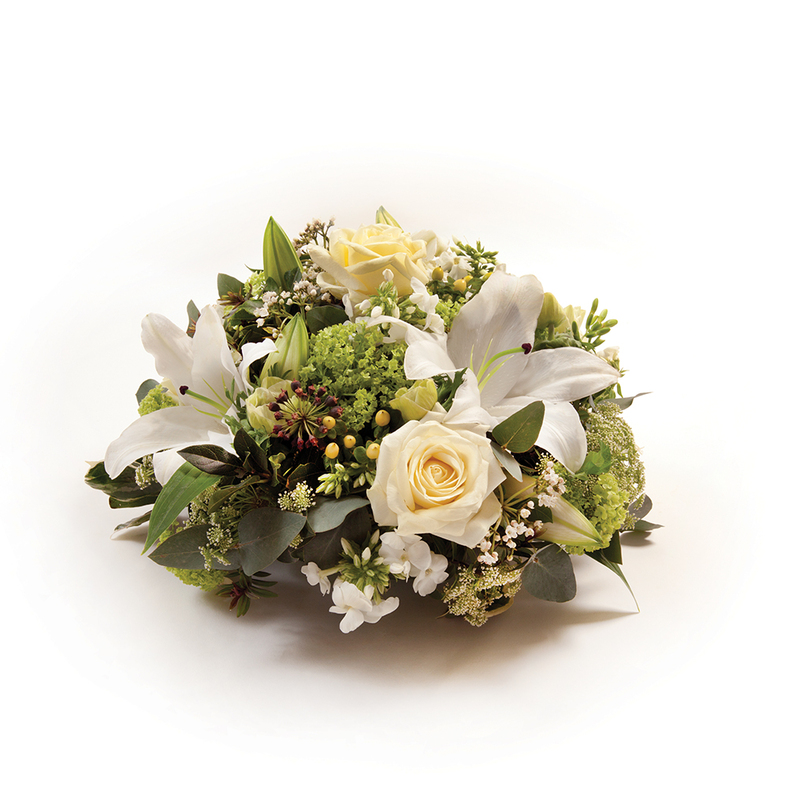 The posy is a popular choice as a tribute from (grand)children. 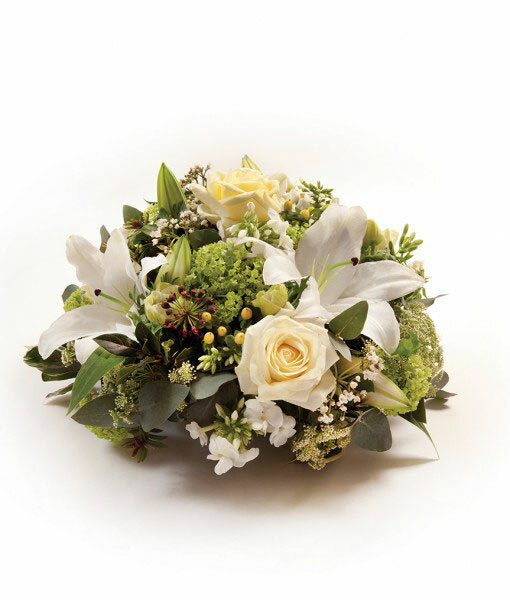 The posy is only suitable to be placed on a flat surface. 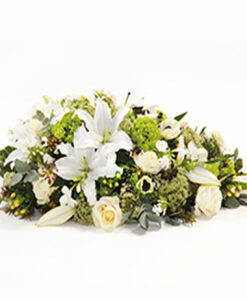 Please bear in mind that we might have to vary some of the flowers or foliages according to seasonal availability.We will do our best to substitute a product with something of equivalent value and quality.